The half-millennium birthday of Havana will be the occasion to justify making major investments in the destination to improve its tourism infrastructure, effects that will be enjoyed long after the anniversary has slipped into history itself. For the Ministry of Tourism, the goal will be to use the anniversary to help transform Havana into a world class 21st century destination. 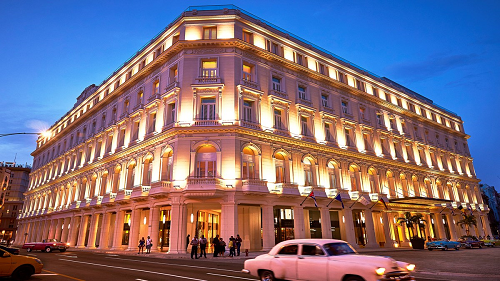 Cuba is on track to see 5,000 new hotel rooms in the coming year. Havana itself is expecting to see a dozen new small-scale accommodations in historical buildings that are being restored in neighborhoods such as Siboney, Miramar and in the area surrounding the iconic Plaza de la Revolución. Exterior of the Gran Hotel Manzana Kempinski at sunset. Photo courtesy of Hotel Kempinski. More than half of Havana’s 12,000 hotel rooms are now in the three-star category of accommodations and the government is intent on raising the standard through its ongoing investments. 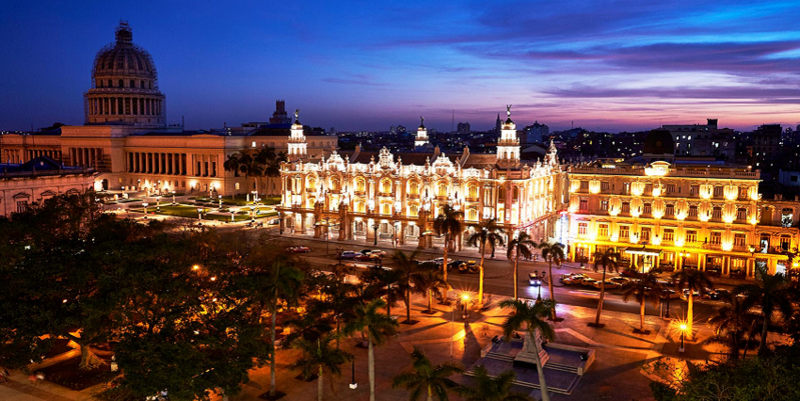 Three historic properties in Old Havana are expected to be renovated and upgraded as hotels, the Prado y Malecón hotel, the Gran Hotel, and the Cueto. 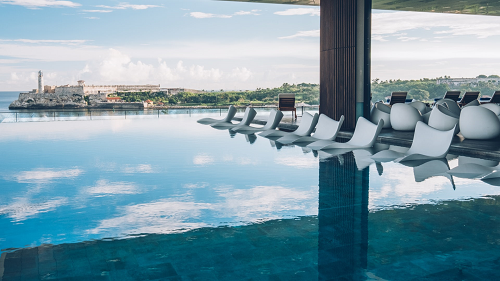 Ultra high-end properties such as the Gran Hotel Manzana Kempinski and Iberostar’s Grand Packard have raised the bar on accommodations in Havana. The rising tide is lifting all boats to a new, higher standard as Cuba raises its profile on the world tourism stage. Rooftop pool at the newly renovated Iberostar Grand Packard Hotel. Photo Courtesy of Iberostar Hotels. 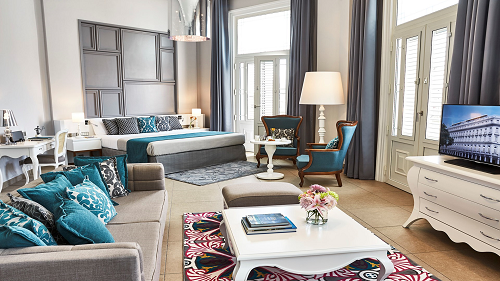 Junior suite at the Gran Hotel Manzana Kempinski. Photo Courtesy of Hotel Kempinski. Renovations and improvements are underway at dozens of restaurants and nightclubs across the city, including La Bodeguita del Medio, La Cecilia, El Gato Tuerto, La Ferminia, and Ernest Hemingway’s favorite bar El Floridita. The Don Cangrejo restaurant is getting an upgrade to bring it up to high international standards. Hacienda Guanabito in Guanabo is currently undergoing a restoration as a historical attraction with a horse stable and peasant homes that recreate the Creole culture. The La Giraldilla recreation center is being revamped as a tourist attraction designed to appeal to families on vacation in Havana. The tourism ministry is also planning to renovate and reopen the historic discotheque of the Comodoro Hotel. 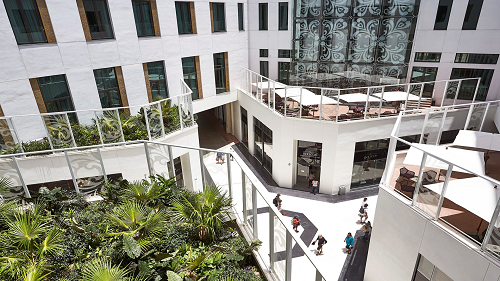 Shops and boutiques in shopping areas along Primera and B, in the Vedado, and at the Palacio de Artesanía, in the Historic Center are being upgraded. The waterfront is getting a facelift with work underway on Marina Hemingway and Marina Tarará. Shopping gallery at the Gran Hotel Manzana Kempinski. Photo Courtesy of Hotel Kempinski. Join insightCuba in 2019 on any group or private tour and experience all the upgrades for yourself. On the occasion of its 500th birthday, Havana, the centerpiece of Cuban tourism, is on the verge of becoming a more sparkling jewel in the crown than ever before. You won't want to miss it!